The objective of this course is to provide the student with comprehensive knowledge regarding the tools, format and methods used to create process maps. This all in a form which results in process maps which will be easy to create, read and understand. 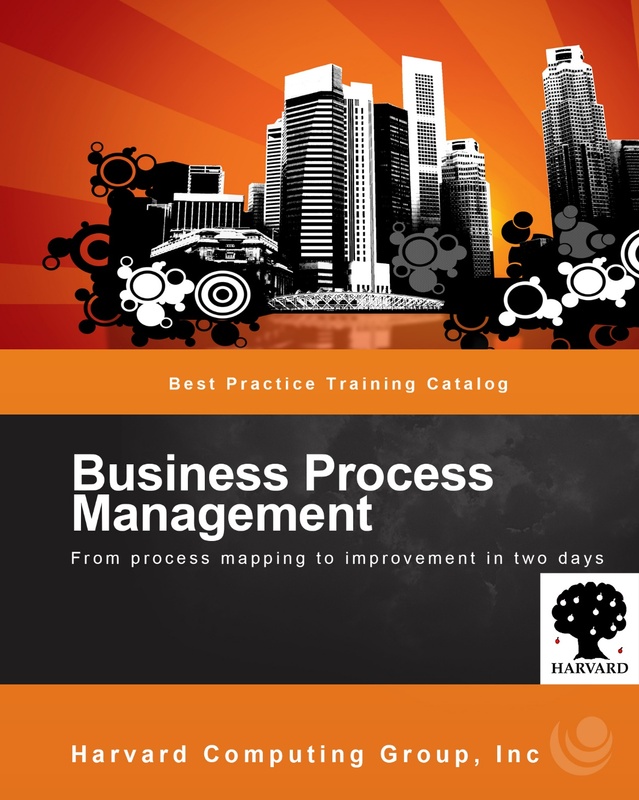 This course will provide guidance for intended practitioners of Business Process Management, managers, and other interested parties looking to understand what Process Mapping is and its application in their organization. Provide managers and supervisors with an understanding of how process maps are created and their specific value to the organization. Segment 1: Introduction to Simplified Process Mapping Method. Segment 2: What is process mapping? Review the definition of process mapping. Segment 3: Where to use process mapping? Overview of areas where process mapping is used in organizations today. Efficiency, Governance, Quality and Change are areas reviewed and discussed. Segment 4: Complimentary information sources for processes and procedures. (Which are not process maps.) Narrative and step-by-step approaches reviewed and explained. 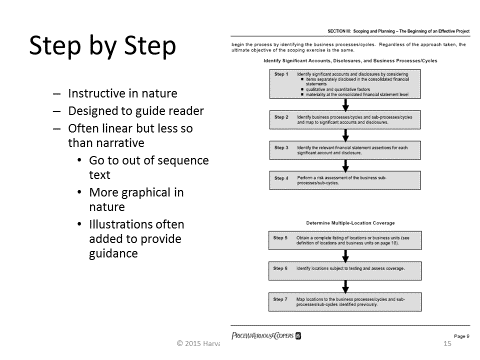 When and where to use narrative and step-by-step approaches. Differences between processes and procedures. Introduction to visual processes. Introduction to the process map. 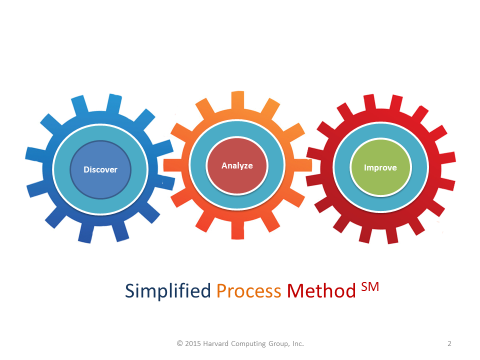 Segment 5: Where to use process maps versus other approaches. 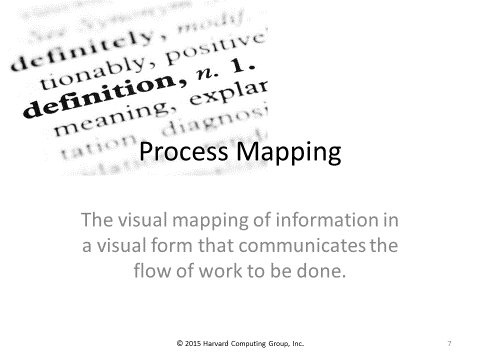 How process maps co-exist with other information sources. Review of the benefits of the process map versus other approaches. Segment 6: Shapes, their meaning and applications. Learning application of shapes to process maps. (Where to use them). Recommended shapes in your process maps. Why we recommend limiting the number of shapes in use. 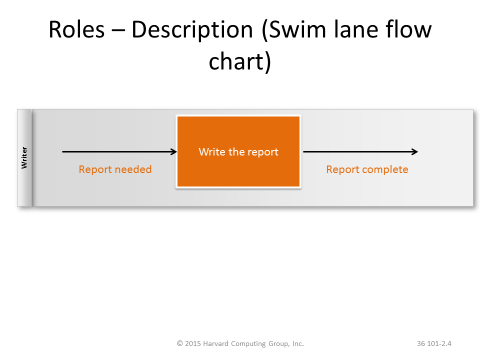 Segment 7: The flowchart and the swimlane. What they are and where to use them. Segment 8: Building process maps. Best practices with examples. Segment 9: Which tools to use and where. Hyperlinking, databases and desktop tools for your process maps.